Many in the media, who should know better, have been disturbingly reticent about the growing acceptability and advocacy of concepts which will eliminate the constitutional framework which has preserved American freedoms since the founding of the nation. While singular bad ideas have been discussed and occasionally criticized, the totality of the approach many on the left have pursued has been ignored. Consider the list. Democrat presidential contenders such as Beto O’Rourke, Pete Buttigieg, Elizabeth Warren, Kristen Gillibrand and Kamala Harris have discussed “packing” the U.S. Supreme Court to ensure that Progressive outcomes win. In an era when one branch of the judiciary, the Ninth Circuit, frequently issues rulings based on its political preferences rather than statutory or Constitutional law, this represents a combined, dangerous attack on the sanctity of the legal process. Fearing an overbearing central government powerful enough to trample individual rights, the Constitution’s framers rendered presidential elections subject to an Electoral College which prevents a few large states from dominating Washington. 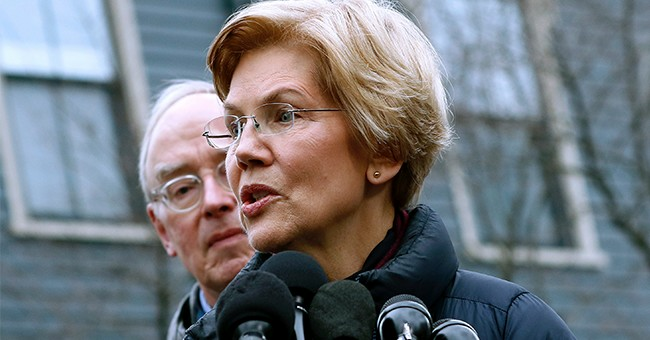 Elizabeth Warren, Kamala Harris, Beto O’Rourke and Pete Buttigieg have discussed eliminating it. The Founders also provided for a Senate where the states would be equally represented. The late Rep. John Dingle (D-Michigan) proposed abolishing that, too. The Bill of Rights is under full-scale assault, with barely a whimper of protest to be heard in most news outlets. In 2014, Tom Udall (D-New Mexico) and Charles Schumer (D-New York), proposed a measure that would limit free speech protections as they pertain to campaign donations. The proposed legislation gained 43 Senate supporters—all Democrats. At a Senate Rules Committee hearing in 2014, Schumer stated that “The First Amendment is sacred, but the First Amendment is not absolute.” The Republican minority was able to block the measure. The Second Amendment is under constant attack. In many Democrat-controlled jurisdictions such as New York City, it has, in practice, been wholly ignored. The Tenth Amendment, which mandates that those powers not specifically granted to the federal government belong to the states or the people, has been virtually wiped out by an ever-growing federal presence in the daily lives of the American people. The Obamacare mandates that private organizations cover procedures that are directly opposed to their belief principles were a direct attack on Freedom of Religion. That assault on faith is growing more brazen. Senators Diane Feinstein, Kamala Harris, (Both D-California) and Mazie Hirono (D-Hawaii) have implied that Catholics may not be fit to serve as judges. And, of course, there is the growing acceptance of anti-Semitism on the part of the left. Elizabeth Warren, Bernie Sanders, Beto O’Rourke, Kamala Harris, and independent presidential contender Howard Schultz, announced that they will not attend this year’s AIPAC (American Israel Public Affairs Committee) event, which had traditionally been an important stop for presidential hopefuls seeking the support of Jewish voters. That’s just the icing on the cake. The growing tolerance of anti-Semitic leanings within the Democrat Party is highlighted by the rise to the position of Deputy DNC chair during 2017–2018 by Keith Ellison, (now the Attorney General of Minnesota) who travels within anti-Semitic circles. The harsh statements about Jews of several newly-elected Democrat members of the House of Representatives continues that trend. Any of these individual enumerated attacks on the Constitution and the Bill of Rights would be worrisome. Taken as a whole they are a cause for the deepest concern, particularly since they have received high-profile backing. Yet these consolidated attempts to radically alter the core substance of American government, which has produced more freedom for more people than anything humanity has ever attempted, have barely been given any attention.